The Westbank Campus opens its gates at 7:45 am. 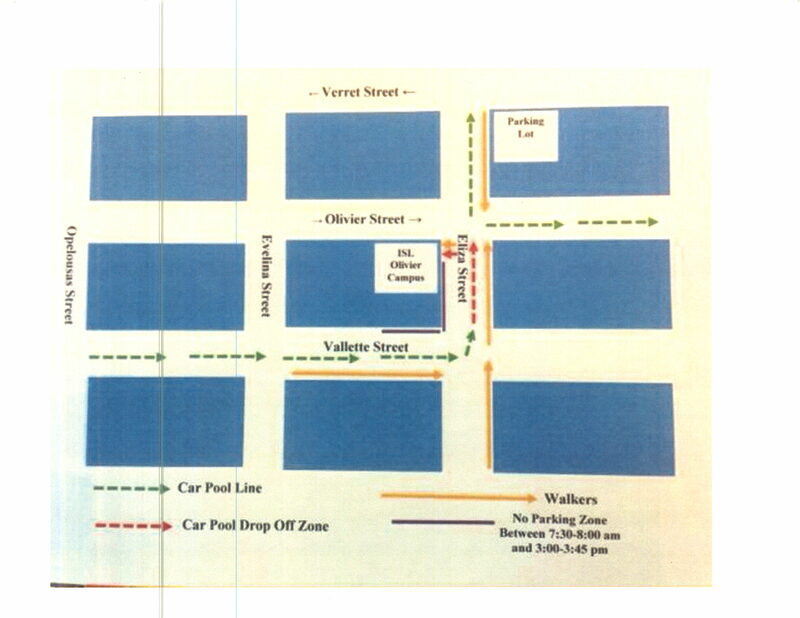 Parents may make use of a carpool line at Vallette Street. Many families prefer to park in the neighborhood and walk their children to the gate. This is welcome during drop off, as well. There will be bike racks available if students are biking to school. Bikes should be secured with an appropriate lock to the bike rack not to street signs, or to the railing around the landscaping. Gates close promptly at 8:00am. Students arriving late to school (after 8:05 am) must enter through the main doors on Olivier Street. The front office will close daily at precisely 3:55pm. If you wish to reach the front office, please call Raquel at 504-274-4571 or come before this time. If you wish to speak with Kristen Jensen; the Family Liaison, regarding attendance or to address any concerns, please call 504-274.4571 or email her directly at kjensen@isl-edu.org, to make an appointment.